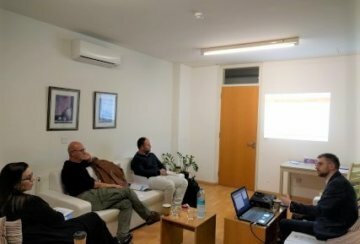 Local partners of the Ambient Assisted Living (AAL) project STAGE, Agecare Ltd and GEORAMA LLC organized in Cyprus an innovative business model workshop to investigate and validate business case scenarios and hypotheses for the commercial launch of the STAGE platform. 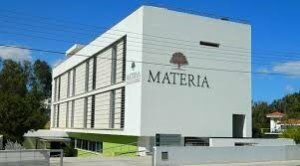 The workshop that was hosted at the impressive MATERIA Unit at Athalassis 41 street, in Latsia was attended by Cypriot researchers in communication studies and professionals in IT Management and innovation development coming from the Media industry. During the workshop, Mr Pawel Paweł Nowakowski of Market Research and Analysis Centre Ltd (ASM), the exploitation partner of STAGE project from Poland, and Ms Sotia Nicolaou of the hosting organization presented the STAGE project, the marketing approach and feedback on the commercialization of the platform from Cyprus and discussed different scenarios for the successful launch of the service within 2019. Mr Aris Anastasiades of GEORAMA LLC, technological project partner from Cyprus complemented the discussion of the actual innovation potential of the platform bringing the experience of the tech team so far. 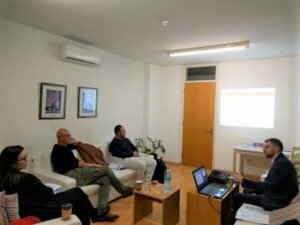 During the second section of the workshop, local partners resented elements of business modelling for online services offering access to cultural events and presented strategies on how to address the Cypriot market. 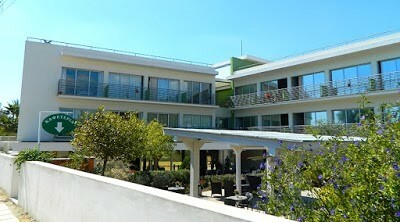 Toward the end of the event, a round table discussion about the STAGE business model considering Cypriot perspective took place with participants integrating the results of the session and cataloguing valuable recommendations for the future exploitation of the platform.